I want to open this note with first an enormous thank you – to all of you – for the two seasons that you’ve given us of Bomb Girls, and for the 2 hour movie special that has been announced for 2014. I’ve been a fan and supporter of the show from Day One, and my heart is broken from the announcement that you have chosen not to renew it for a third season. 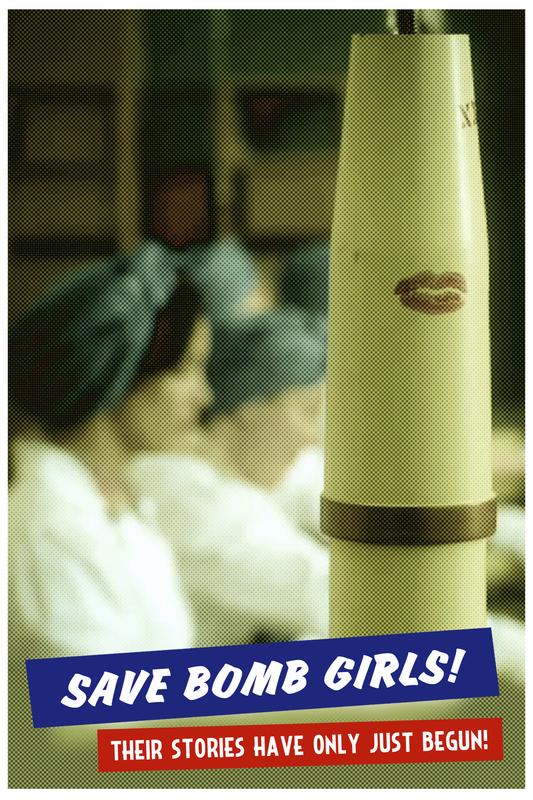 Bomb Girls has meant a great deal to me – those characters have become like family, and I am devastated at the idea that I will have to now let them go. As a lesbian, seeing a realistic portrayal of an amazing woman in a different time – yet going through many of the same emotional trials and tribulations I have experienced in my own life – has been a comfort for which there are not words. Ali Liebert’s portrayal of Betty McRae is nothing short of extraordinary. She shows grace, poise, and most of all, empathy. She and the writers have all handled Betty with sensitivity and genuine love, making her a character that has been easy for viewers to connect and identify with. Characters like Betty don’t come along every day – at all – and along with her fellow factory workers, she has been changing the world. Quietly, because that’s the Canadian way, but it’s been happening nonetheless. I beg of you to reconsider your decision, and find a way to let these stories continue somehow. I can’t remember the last time I was so proud to be a Canadian on the global entertainment stage. 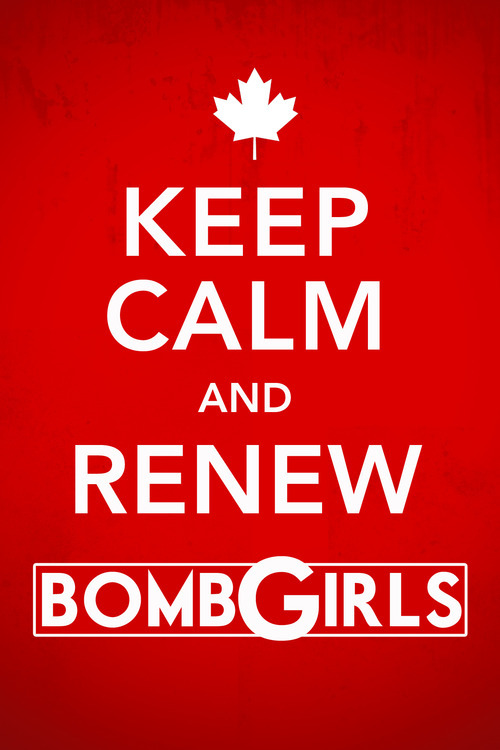 Bomb Girls is loved the world over and, while I admit that even I was unable to watch it as it aired each week, I did record it on my PVR, and have kept every episode, because I need to see them all more than just once. At the Mind Reels (http://themindreels.com), we have enjoyed reviewing every single episode, participating in Twitter and Facebook conversations with fans, cast and crew, and have even been lucky enough to visit the set for a day. Standing on the factory floor…I can’t describe the experience to you, nor how much it meant to me. It made everything more real. It IS real. It’s real to the people who create the show. It’s real to the fans. And it was real to the wonderful ladies who donned the coveralls and turbans to do the work when Canada’s very freedom was at stake. This show honours those men and women in a way that none other has before, and while I know that you must have agonized over the decision not to renew it, I must beg that you reconsider, and look into other possible options, if need be. A six episode season worked well – maybe it can work well again. The miniseries format used to be a staple of television special productions – maybe that would be worth looking into for our girls. Maybe another network would consider co-producing it. Perhaps a Kickstarter campaign would give the girls a chance to show off how amazing they are, and get public financial support at the same time. The war has not ended yet, and with that will come the beginning of the rest of these women’s lives. Ceasing the show feels like stopping the tide of their new-found strength and purpose all over again. 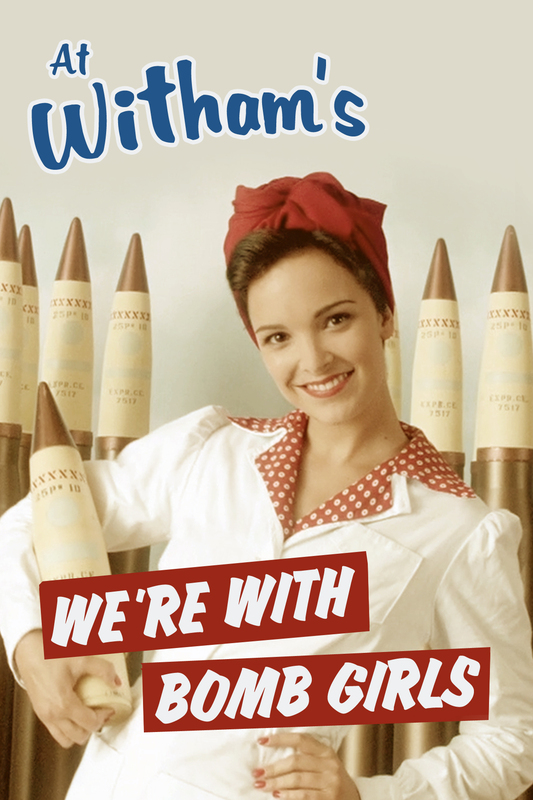 There’s a reason why Bomb Girls means so much to so many people. There’s a reason why new viewers are still coming on board even now. It’s different from most programs, that people watch largely because there is nothing else on at the time that interests them. But even when it was airing on Monday nights – against so many other popular programs – people continued to seek out Bomb Girls. They were watching it when it was on, recording it, watching online, sharing it with one another. My mom is not even going to be in love with it until after it’s been taken away, you see? And the series is set in her childhood, when her mother and other women of that generation were living in this incredible and rapidly changing world. A world which wouldn’t see my birth for several decades, and yet here I am, in 2013, relating to characters based on women with whom I never would have known I’d have so much in common. Please don’t let go. Don’t give up on these girls. We haven’t.